See below: 1) How Penguin 3.0 will continue to penalize sites that were hit in the past, and reward good sites, 2) 31 WordPress plugins to boost engagement on your site, 3) How to make great landing pages that convert, 4) The ultimate guide on how to improve your social media presence for outreach, and 5) 8 phrases that will make communication with your customers way better than what it is today. 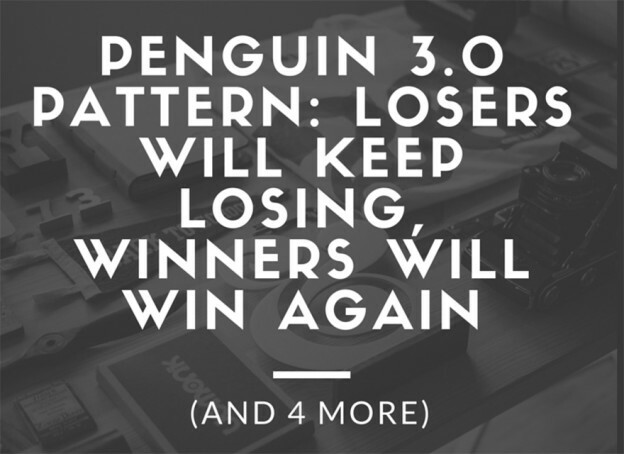 The Penguin 3.0 Pattern: Losers Will Keep Losing, Winners Will Win Again – Sites that were hit by Penguin 3.0 and suffered a penalty will continue paying for their sins with a steady decrease in traffic; the opposite will happen for sites that weathered the Penguin pattern without any negative problems. For those site operators who have nothing but natural link pies, traffic will continue to rise. Discover more details in this study. 31 WordPress Plugins To Boost Engagement – Boosting on site engagement is one of the biggest hurdles for a blogger. Having good content on your website may bring in initial traffic, but it just isn’t enough. Here you will find 31 WordPress Plugins that will boost engagement on your site. How To Make Great Landing Pages (With Crazy High Conversions) – People are visiting your site, but for some reason, it stays with just that: People visiting your site. You don’t see lots of conversion happening, and the numbers of new leads is not exciting. What could be going wrong? 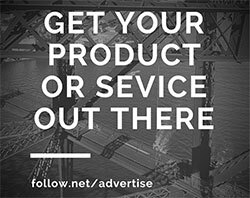 Do you have a good landing page? If no, you’re essentially throwing your money down the drain. Learn here how to build great landing pages. The Advanced Guide to Improving Your Social Media Presence for Outreach – Your goal with social media is to get the conversation going and then leverage other channels to develop the communication into a meaningful relationship. While platforms like Facebook are largely meant for close friends, places like Twitter, LinkedIn, and Quora can be used for connecting with people from all walks of life. Here you’ll find several practices for improving and leveraging your social media presence for influencer outreach. 8 Phrases to Improve Every Support Interaction – Communication with customers is hard work. Customers want to know that their issues matter to you; that you don’t see them as “Complaining Person #5589.” Let’s explore a few simple phrases that can be used to improve nearly every support interaction. This entry was posted in Customer Acquisition Strategies and tagged communication, customers, engagement, landing pages, Penguin 3.0, plugins, SEO, social media, WordPress plugins on March 20, 2015 by Davide Di Prossimo.